The folks at Parents.com have just issued their list of the Best Kid-Friendly Video Games of 2008, a quick and dirty guide to games that aren't...quick and dirty. There are five titles on the list right now, and all of them are relatively safe choices. Kung-Fu Panda, Lego Indiana Jones, and We Ski certainly fit the bill nicely. Guitar Hero On Tour for the DS is a bit of an odd choice, seeing as the inclusion of Skid Row's "Youth Gone Wild" could possibly make youth go wild, but I suppose as long as parents are willing to take the risk. Rounding out the list is NCAA Football 2009, because every list of family-friendly games needs a football title for some odd reason, perhaps in hopes that children will drop this video game nonsense and become multi-millionaire pro athletes. I'd list my personal choices for games to be included in the list, but let's face it - if you're on Kotaku looking for shopping ideas for your child, someone has played a horrible prank on you.The Best Kid-Friendly Video Games of 2008 Holiday V, Toys of the Season —(BUSINESS WIRE)—By Mike Bruno, Parents.com Contributor We played until our fingers ached, but it was all worth it — we found five of the best kid-friendly video games (no violence or mature themes here). Whatever your kid's age or interest, you'll find the perfect gift for this holiday season. We Ski- Wii Age: 5+ Finally, a second game that uses the Balance Board you bought to use on Wii. We Ski uses the device to navigate the game's snow-covered mountain playground. Why We Like It “We Ski does an admirable job mimicking the arm movements (pull the numchuk and remote toward your body to tuck poles and increase speed) and balance techniques you actually use on the slopes,” says Bruno contributor, for Parents.com. 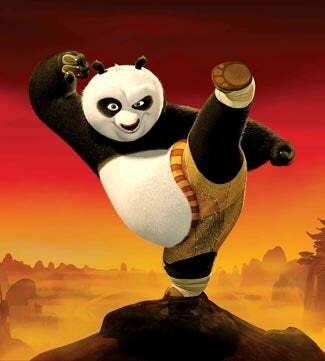 “Plus, it supports up to four players with a split-screen multiplayer mode.” Kung Fu Panda- Wii, Nintendo DS, Xbox 360, PS3, PS2 Age: 6-12 Po, the imaginative young panda from the computer-animated movie, takes you along on his daydream journey in which he is a kung fu warrior wielding "mad skills." Why We Like It A fighting game without violence, if you can believe it. Detailed graphics aptly reproduce the fanciful world that was so beautifully rendered in the film. And the Jack Black imitator is pretty spot on, too. LEGO Indiana Jones: The Original Adventures- Wii, Nintendo DS, PS2, PS3, Xbox 360 Age: 10+ Our favorite archaeologist — in LEGO form! — runs through adventures from the first three Indy movies. Why We Like It Once you've racked your brain figuring out the decently challenging puzzles, you're rewarded with humorous asides from the movies, like a cocky Dr. Jones reaching back for his fedora, nearly being crushed by a giant stone door in the process. Guitar Hero on Tour- Nintendo DS Age: 10+ The Guitar Hero franchise hits Nintendo's portable DS console without sacrificing too much of the fun game play that made the original game. What We Like About It The appeal is definitely in part the novelty of a shrunken-down Guitar Hero you can pull out of your pocket. The hand-sized strap-on Guitar Grip controller slips right into the DS console, enabling you engage in the same challenging rock-alongs as the original. NCAA Football 2009- Xbox 360, PS3, PS2, Wii, PSP Age: 7+ Just like fans of real-life football, there are gamers who insist EA Sports' college pigskin game is superior to their pro-football Madden franchise. What We Like About It In addition to some very cool additions to game play, '09 has also made some nice tweaks to the Dynasty mode, including an ability to enter a dynasty online and compete with up to 12 other players for the same pool of prospective students for over 60 seasons. For more helpful tips on picking the right video game for your kids this holiday season, visit Parents.com.